I recently spent a week on the Somme Battlefields when it snowed heavily, and the landscape was transformed. Courcelette is a small village on the Somme, captured by the Canadian Corps during the Battle of Flers-Courcelette on 15th September 1916. More than 8,500 Canadians died at Courcelette, and Courcelette British Cemetery is one of three in village. 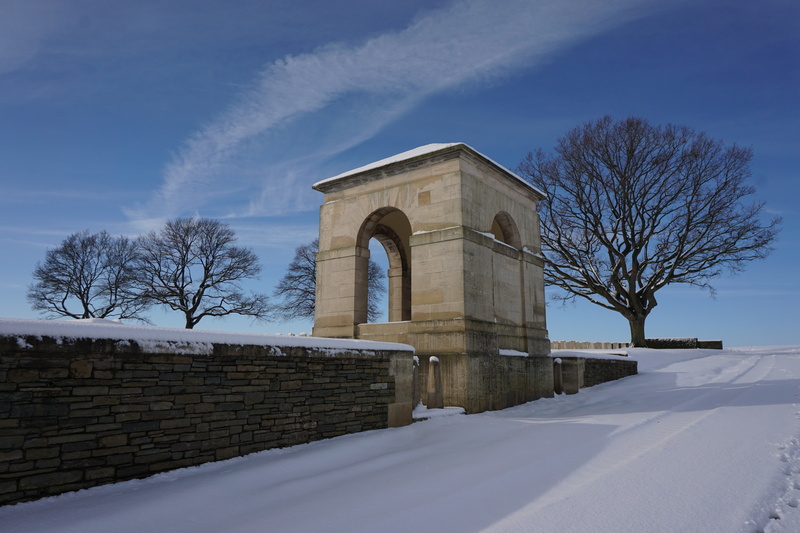 While there in January 2019, I was able to walk up to Courcelette British Cemetery and photograph a cemetery I have photographed many times, in all sorts of weather, but this time in the snow.